If you were stranded in a desert, would you want something to eat or drink? That rumbling says eat but did you know that the human body can’t go more than a day or two at the most without water? It is important to stay hydrated. Water is the most abundant fluid in the body. Over half of our body weight is represented by water. It is an understatement to say that water is vital to life. So why do we need to stay hydrated? Water is used to keep our bodies going. Every system needs water to operate properly. Do you exercise? When you do, your body perspires. That is water you are losing through your skin as well as some electrolytes. The body uses water as a cooling system. But, that water you lose needs to be put back so water isn’t stolen from other systems. How about digestion? When you eat food, the body breaks it down into nutrients that are transported to the cells where it is used for repair, daily functioning and building new cells. It can’t do that without water to give volume to your blood to help carry these nutrients. What about excretion? Whatever the body can’t use is excreted from the kidneys. Water is needed to transport these nutrients so they can then be filtered from the blood to form urine. Without proper water volume your body becomes dehydrated. Severe dehydration can lead to dizziness. Your body doesn’t have enough water to keep its systems functioning. In extreme cases, body systems can begin to shut down. You will get sluggish also. Intravenous fluids may be used at this point to increase your blood volume and the amount of water in your system. So, how do you get that water? The obvious way is by drinking water. Tap, mineral, purified, spring, flavored and carbonated are all ways that water comes to us. But what if you are not the kind that likes water? For some, water is hard to consume because they don’t particularly like the taste. There are other sources of water. If you like tea or coffee you are also getting water in your system. Go easy on the sweeteners so that you don’t get empty calories mixed in with your water. Also try drink mix packets. They can be added to bottled water and are a substitute for soft drinks or sugary punch. Consume water throughout the day to spread out your consumption. Before, during and after exercise, drink plenty of water to replenish what is lost. Electrolyte drinks will also replenish the salt that you lose. When you are hungry, drink a glass of water. It partially fills your stomach so you eat less and sometimes those pains signify thirst and not hunger. Got water? If not, get some now to keep that body hydrated. 20% Sale at The Speckled Goose ends soon! 20% Sale at The Speckled Goose inside Past & Present Antiques & Gifts, Brighton, CO continues thru Thursday September 26th. Stop by and pick up those items you have been looking at and get it quick – all new stuff will be showing up on Thursday Sept 26th – and out with the old! I am going to have to try this, although I may have to put some of the fruit in my water bottles and then fill half full and freeze. I am wondering how much flavor you get out of this amount of fruit in your water? I really love the idea of mint – I just may have to get a plant when I go to town today to try this. 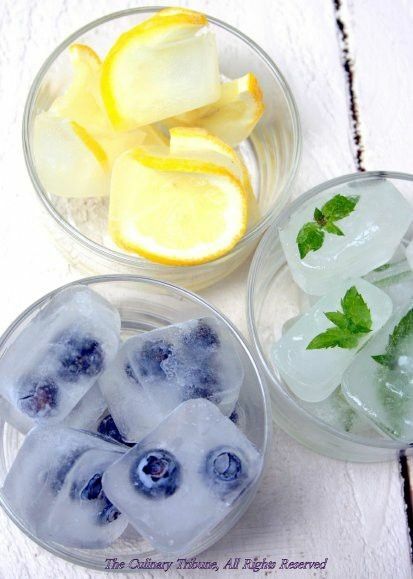 These look so refreshing considering how hot it has been recently in Colorado. 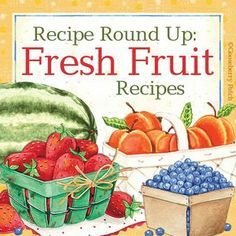 Please share your favorite fruit recipes. I would love to try some new ones. New Beginnings – what have I seen recently that remind me of new beginnings – lots of things! Baby lambs, baby calves, tulips, green grass, trees are starting to bud. I love this time of year. You need new beginnings everywhere you look. I love to stop on the side of the road to watch the baby lambs and baby calves play. They have so much fun running around playing. Just like watching kids on the playground, without a care in the world! Tulips are starting to spring here in Colorado, and the grass is starting to green up. We are getting more rain and snow this week. Another new beginning for me is that I have space in 2 more antique malls, and things are going great! Love both places, the dealers, and the owners! Well as you can see I have missed a couple of weeks along the line. This weeks topic is reflecting on images that has caught my attention. I would love to hear about some of the images that has caught your attention. (excluding items marked firm or already on sale). Noble Treasures is also having a Store Wide sale. The store is open Friday & Saturday 10 am – 6 pm and Sunday Noon t0 5 pm. Refreshments will be served. This weeks topic for 2013 blogging journal is ~ what is my most prized family memento and why? This is very easy because I have many family mementos. A Dutch Lady Cookie jar – My grandparents had this cookie jar for as long as I can remember. Every time Vickie and I went to our grandpa & grandma’s house we would get cookies out of this cookie jar. Sometimes they would be homemade chocolate chip cookies, and sometimes they would be store-bought cookies. A Dried Flower Framed Picture – this was a Mother’s Day gift from my girls. They made it all by themselves. They cut and sort of dried flowers and then put them into a large picture frame with “Happy Mother’s Day” on the bottom. Family Photos – As my grandma aged, and we went to visit she would always ask – what do you want when I die – PHOTOS!!! I said every time she asked, and we would go through photos and I would take a few more home each time. I don’t know what happened to all the photos she had when she passed, but I am sure glad I took what I could when she was alive! My grandma’s infant cereal bowl – My grandma left her infant cereal bowl to Jennifer, but Jennifer felt that as she moved a few times, the cereal bowl would be safer at my house. So for now I am keeping it for her. That cereal bowl is about 90 years old by now. My grandma left a set of drinking glasses to Tiffany. She received them for her 25th wedding anniversary. Yes, I have these also for safe keeping. John was pretty little when grandma was put into an assisted living facility so he didn’t get to spend too much time with his great grandma, but I did pick out a gravy bowl for him that was my great grandma’s. I don’t remember too much about her, but it is nice to have a piece of her favorite things. I told you this was going to be a long post, and I wasn’t kidding. =) Here is a few more things that are my prized family mementos. When my mother passed almost 3 years ago I received a few more prized mementos. Here is a few of them. A silver wedding band that she wore after her divorce from my real dad, and my adopted dad. At that time it wasn’t proper for a single mother with two small children. My mother left me a diamond & sapphire ring, which I wear every day. My mother left Vickie and I our grandma’s wedding ring. I kept the wedding band and Vickie has the engagement ring. My half of my grandmas ring is right between my wedding band and engagement ring. When Mark and I were married, Mark’s mother gave him his grandmother’s wedding band to give to me when we got married, which at the time was about 100 years old. What a lucky girl I am! I would love to hear about some of your favorite family mementos, so please post comments and / or photos here.